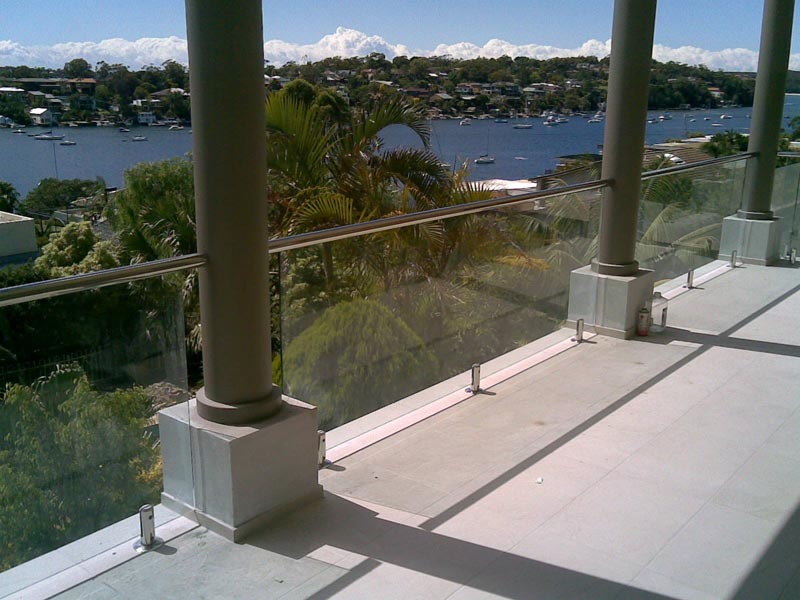 With our unique heavy duty posts and slimline handrail, we offer increased panel widths, thus reducing the amount of posts required. 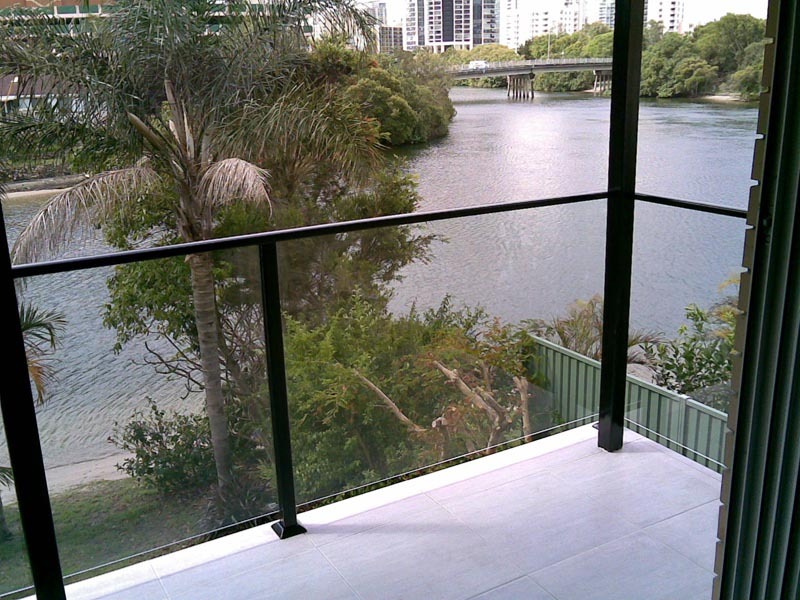 Posts can be powdercoated to any colour, and suit decking or concrete applications. 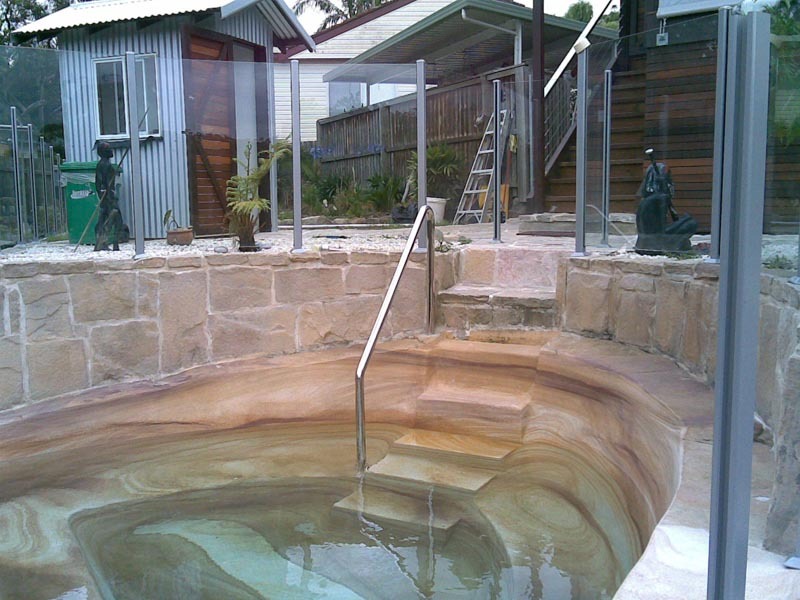 These also look fantastic as a pool fence without the need of a handrail and suit any budget. 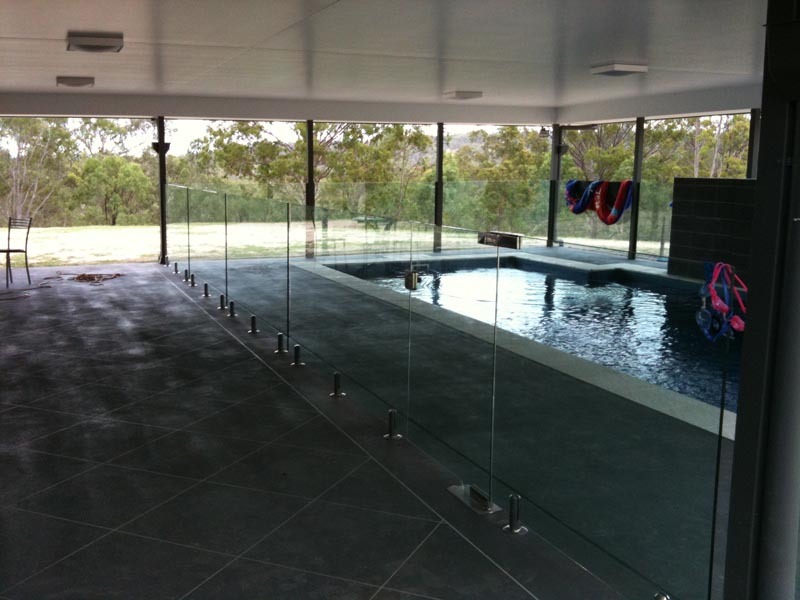 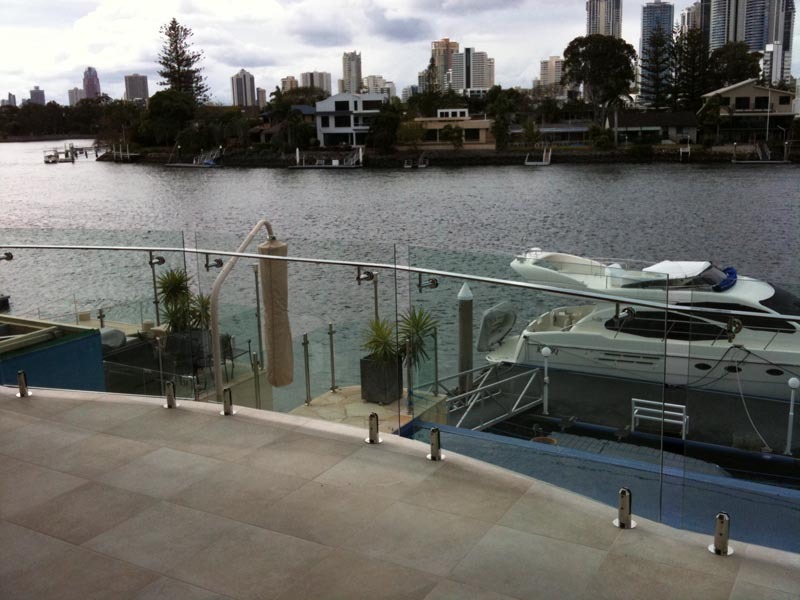 12mm toughened glass using 316 grade stainless floor mount spigots (core drilled for concrete, or bolted to decking), with options of slimline stainless steel inset 10 x 50 rail or 50mm round handrail on top of glass. 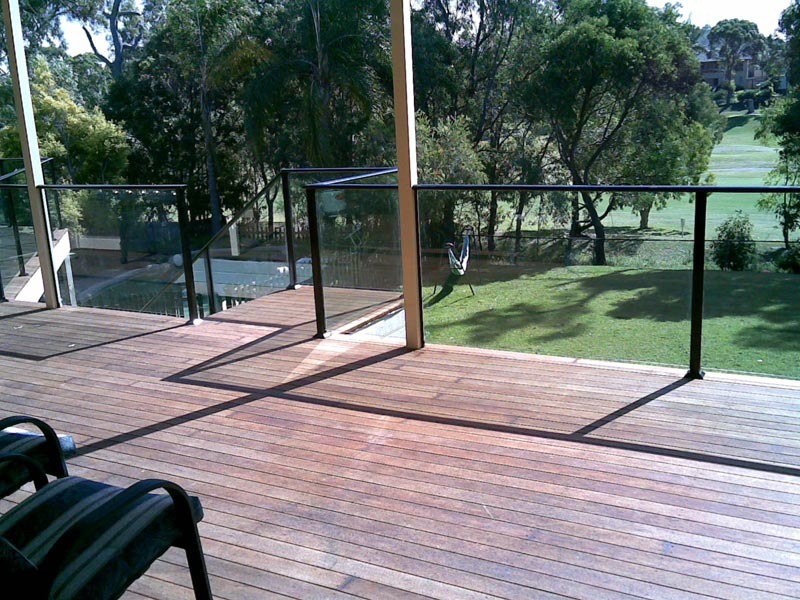 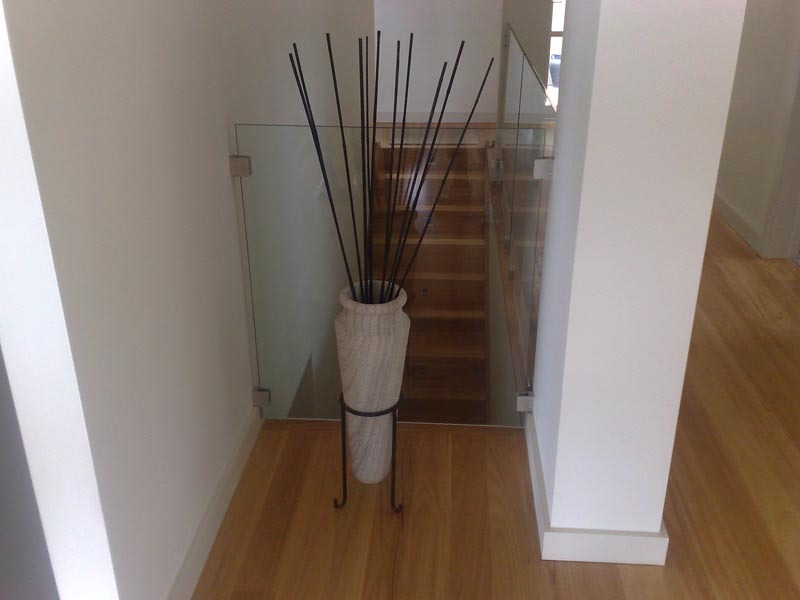 Provisions can also be made for timber handrails. 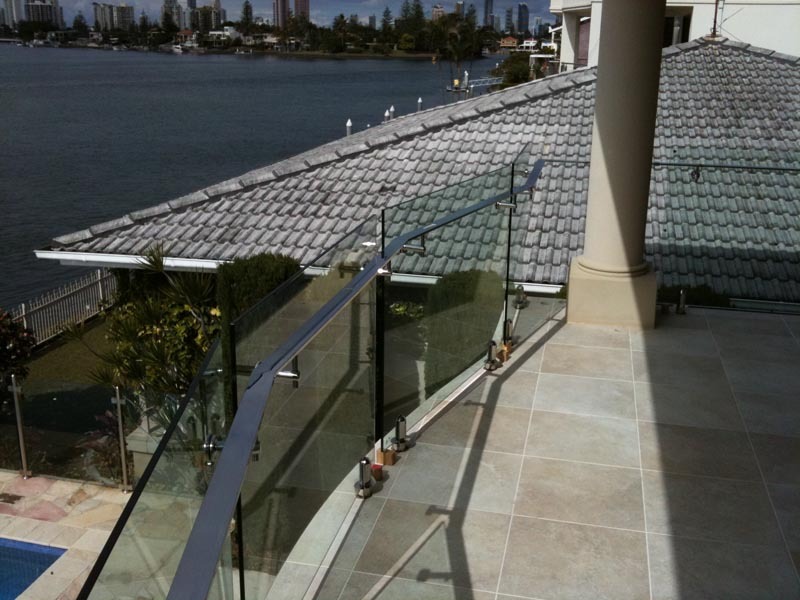 If space is a problem, panels can be installed using a double row of stainless spacers to the outside face of your deck or balcony, or we can set into your concrete slab, the options are endless. 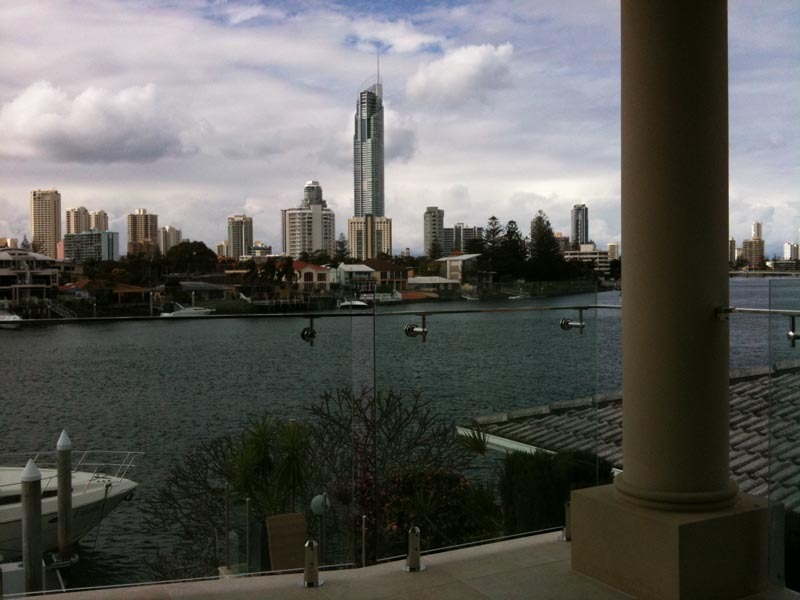 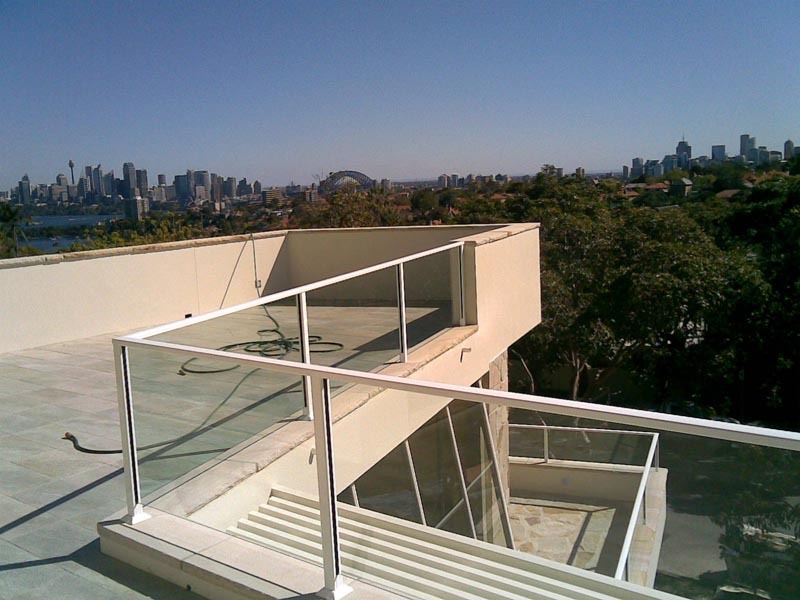 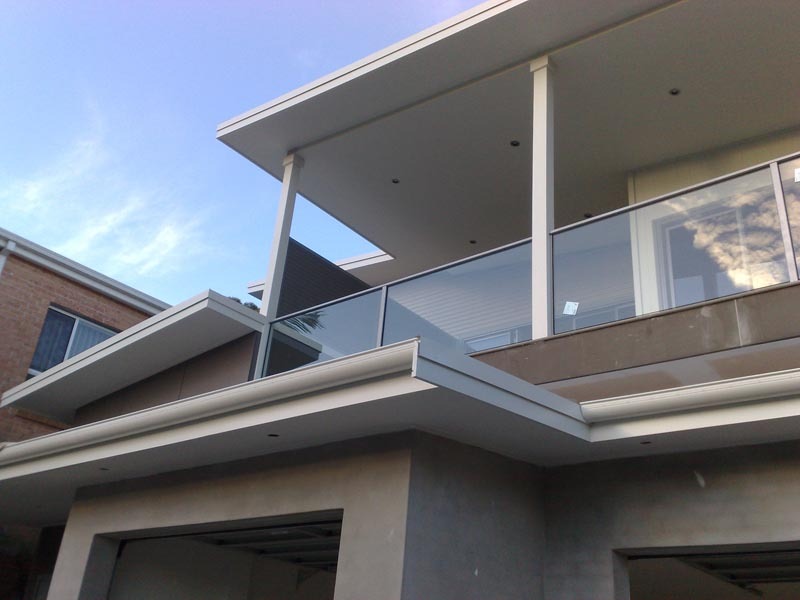 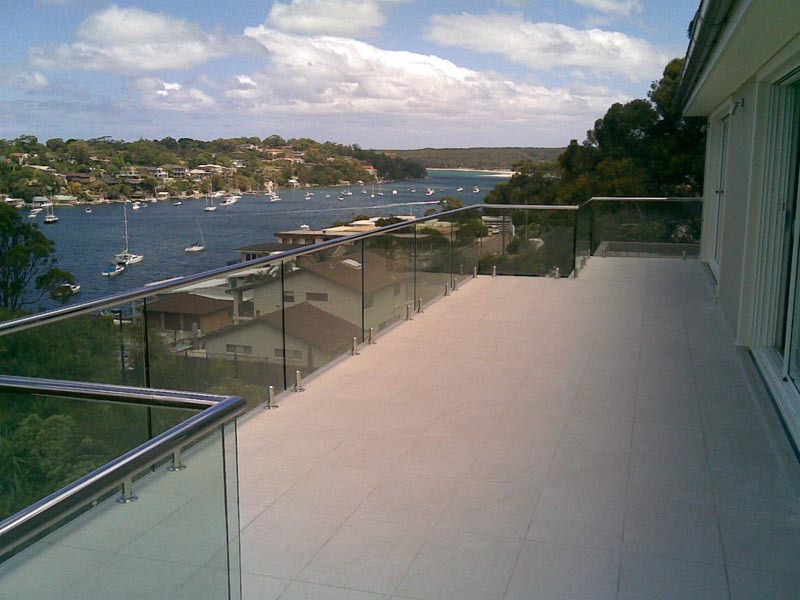 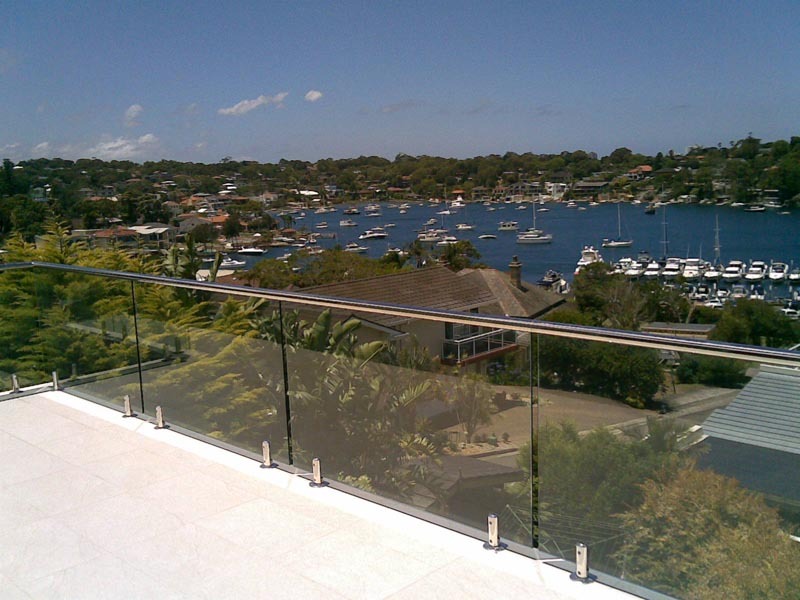 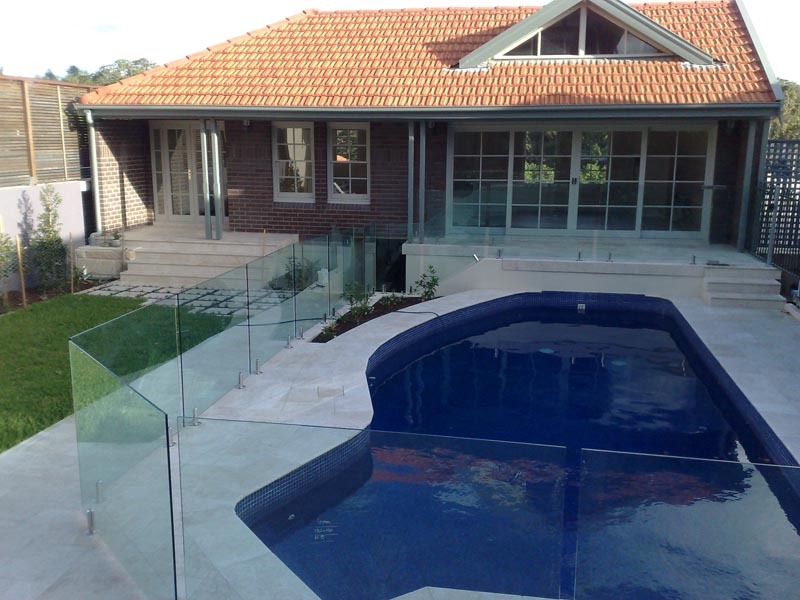 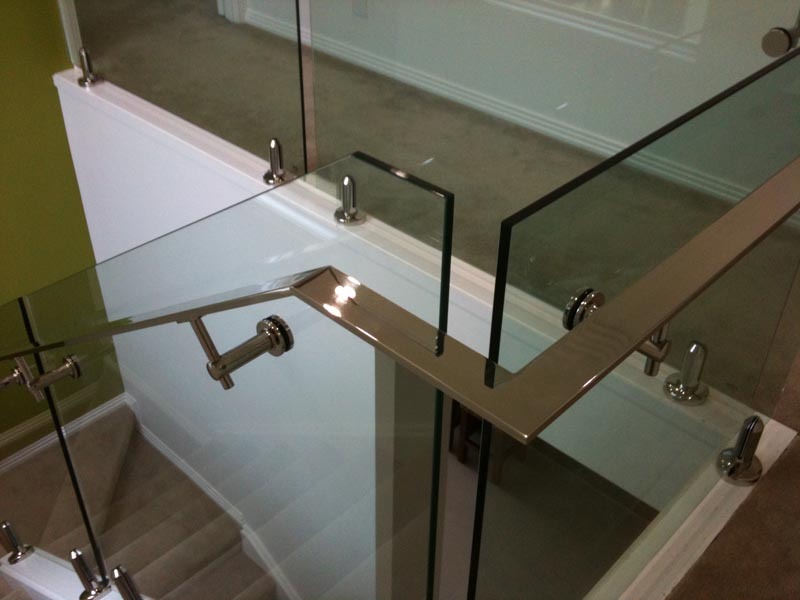 Here at Frameless Glass Solutions, you’re not only limited to common hardware and balustrade systems, we can also custom make hardware and fittings to suit your individual job requirements, making any custom job our speciality. 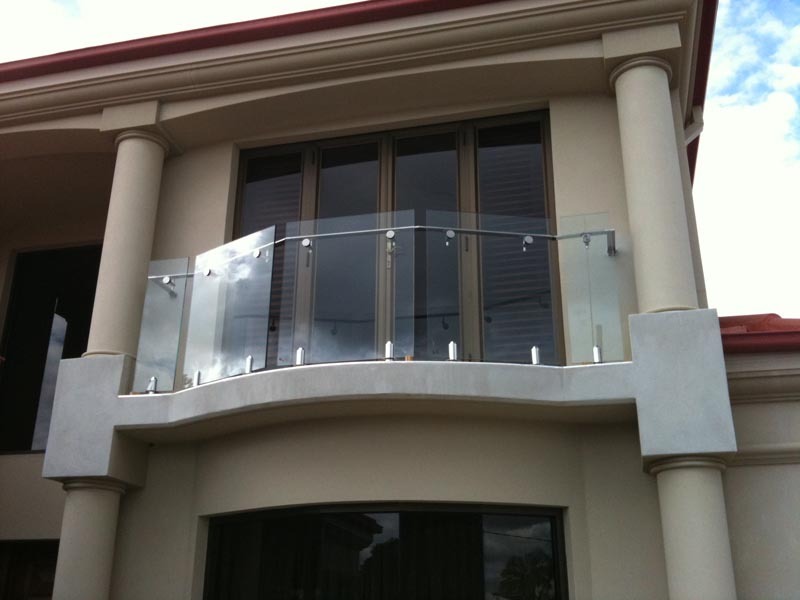 Click on the images below to view larger samples of our work.